Simon's Cat Asks... Hosico! 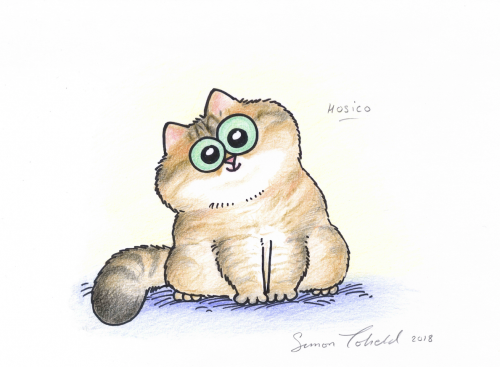 Simon's Cat Asks... Hosico! This adorable round faced gold kitty has been captivating cat lovers’ hearts for the past 3 years! His adventures are being followed by thousands of people across the world through his various social media channels! 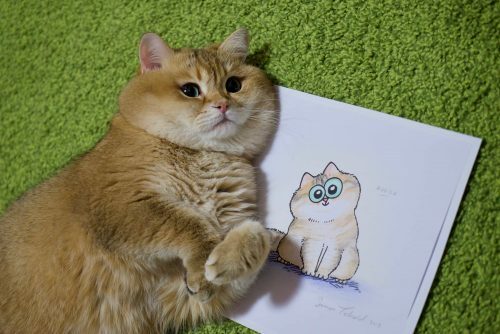 Born in Russia on August 4, 2014 Hosico rose to fame when his family decided to share his antics with the world on Instagram. 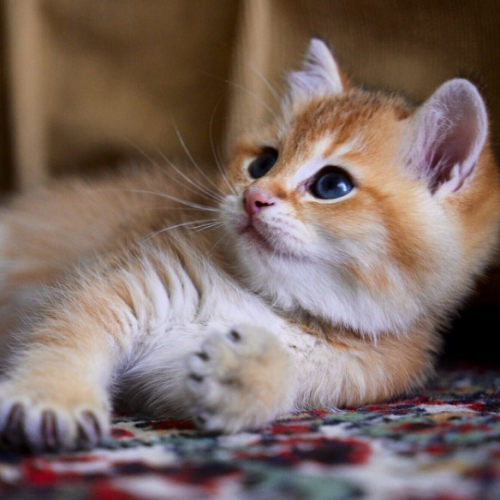 The first picture of a tiny Hosico melted hearts and as they say the rest is history. His name translated from Japanese means ‘star child’ and he is definitely a star! Just look at him…how can anyone resist?! 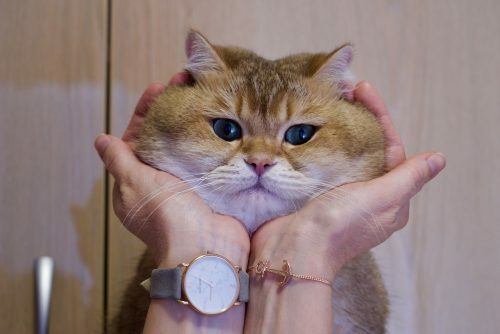 Hosico is often compared with Puss in Boots, Garfield, and sometimes even with James Corden! But we think he is just unique. No one can match his level of squishiness and cuteness. We were lucky enough to get to know him and ask a couple of questions, as part of our Simon’s Cat Asks series… while Simon drew a picture of him. Isn’t he adorable!? SC: How did Hosico came into your lives? After the loss of our first cat Misha we decided that we were ready to welcome a new kitty into our lives. 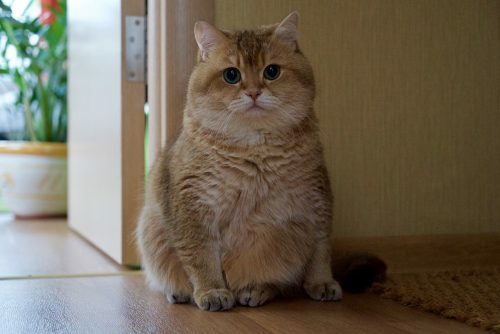 That’s when we found Hosico through an ad on the Internet. He was a very small and skinny ginger kitten when he came to us. Shy and fearful at first he has since come out of his shell to become the adorable cat that he is. SC: Where people can find you online? Our main channel is Instagram but you can also find us on Facebook, Twitter, YouTube and Weibo. We also have a website! SC: And now to some fun questions. What’s your favourite sleeping place? 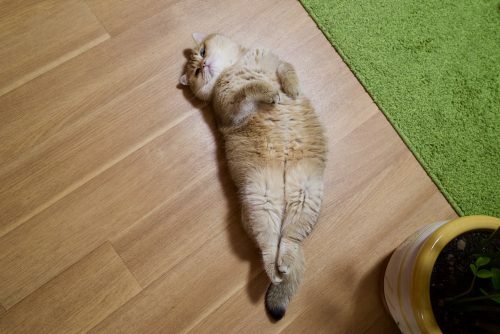 Hosico: Most of all I like to sleep in my bed on the windowsill but sometimes I just nap on the floor flat on my back! SC: What about your favourite toy? Hosico: I like to play with only new toys, in a week I get bored of them. They are usually not toys from the shop, but either a shoelace, a tree branch, a paper sheet or a tennis ball. SC: You say you are timid. What are you afraid of? 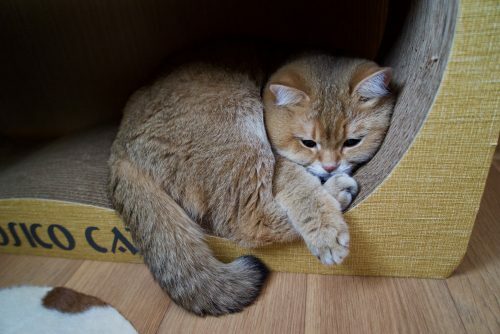 Hosico: I am scared of unknown people and places. Even when something is just misplaced I will be aware and surprised. If it’s not in the right place – it may be dangerous! SC: What would you say is your most annoying habit? Hosico: Sometimes I can walk around the apartment at night and loudly meow. SC: And your most lovable trait? Hosico: My attractive features and that I’m very charismatic. I can make different facial expressions, and I’m just a very sweet and fluffy cat. SC: What do you consider your most memorable moment? Hosico: The most unforgettable moment would be when I climbed into a small box, it turned out so funny and cute. If you wish to see more please follow Hosico on Instagram @hosico_cat and visit his website! Note: All photos were provided by Hosico’s family.